I didn’t attend Computex this year, and that was sad for everything but my budget, because there was a ton of cool stuff announced at the show. Dell, HP and Lenovo showed off new designs that were both attractive and compelling. Mixed-reality headsets hit; based on Intel and Microsoft technology, they were far more affordable than the strong virtual reality stuff already in market (andsome aren’t bad looking). New core wars broke out, as AMD’s 16 Core Threadripper was challenged by Intel’s 18 core i9. It seems that gaming was huge at Computex this year. The product — or the concept really — that stood out most to me was Nvidia’s Max-Q gaming laptop concept, which promises a gaming laptop with dimensions that would rival a MacBook Air. I’ll focus on that this week and close with my product of the week: the new smartphone that Apple is working furiously to kill before it can be launched (which is why I immediately ordered one). Here is the deal — I love to play games both at home and when I travel, and I tend to lock in on one game and play it to death. I’d rather do that than watch TV — yes, I’m a tad addicted. Currently my game of choice is Ashes of the Singularity, which has as a core plot element the birth of a true artificial intelligence that identifies as female. We try and fail to kill her — which, as you might expect, pisses her off and results in some epic battles. The problem is, this game needs a decent graphics processing unit, and that means it won’t work on most lightweight laptops using Intel’s graphics solution. The game won’t even load. However, gaming laptops tend to have two problems: They are heavier, and you pay a huge penalty in battery life. The latter is the bigger problem, because I’m expected to work when I travel, and it is damned hard to work with a dead battery. Recently I’ve started using the Microsoft Surface Book with the second-generation base, which has both a GPU and decent battery life (10-plus hours), but it is a middleweight, and it barely has enough power to run the game. What I wanted seemed impossible: something that was very light, had decent battery life, and enough power to really enjoy a game like Ashes of the Singularity. Enter the Max-Q. I really didn’t see this coming, but Nvidia announced its prototype Max-Q, a design for a gaming laptop that is as thin as a MacBook Air, in the ultra-light class of notebooks. It sports 1080-level graphics, which is the baseline for gaming that’s more typical on a desktop computer. If you are like me, you likely are wondering about how this thing will be cooled — largely because if you combine a thin laptop with lots of performance, the little fans that have to keep the thing cool start sounding like jet engine. That doesn’t bode well for meetings or using in the same room with your spouse. Nvidia’s WisperMode technology keeps that fan noise down to a minimum, unless you are really stressing the system. Overall, there has been a ton of effort on fan acoustics for both laptops and desktop computers. While not totally eliminating the sound, these advances certainly have reduced it to far more acceptable levels (and you really shouldn’t be gaming in meetings, or with your spouse in the room anyway). One thing we don’t know about yet is battery life, and that likely won’t be something I can chat about until the manufacturers start sharing what they are building. Lenovo is one of them, and it typically places battery life very high on its list of requirements. If anyone produces a perfect laptop with all of this and 10-plus hours of battery life, my early bet is that it is likely to be Lenovo. While I’m sure I’ll still want the performance of a desktop computer when I’m at home, being able to play games while on the road and having a laptop that is light and easy to carry used to seem as impossible as having a car that could drive itself. Apparently, we are in an age when doing the impossible is becoming an almost everyday occurrence. Well before I knew anything more than it was coming, I planned to order this phone, because of the huge effort Apple went to in order to try to make sure it never shipped. I’ve only ever seen Apple this worried twice before and both were during the days of the iPod and Steve Jobs. First, it was because Apple found out about an MP3 player from HP. The second time was when it learned of one coming from Dell. Apple aggressively worked to kill both products before they even launched — and succeeded. I never even saw the HP product. Given that very little actually seems to scare Apple, short of a U.S. president, I had to have the phone that did. The Essential Phone was designed from the ground up to be an iPhone killer by Andy Rubin, the guy who was at the heart of Android’s success. If you go down a list of things that seem to target the iPhone directly, the first is the Qualcomm 835 chipset, the most advanced currently in market. 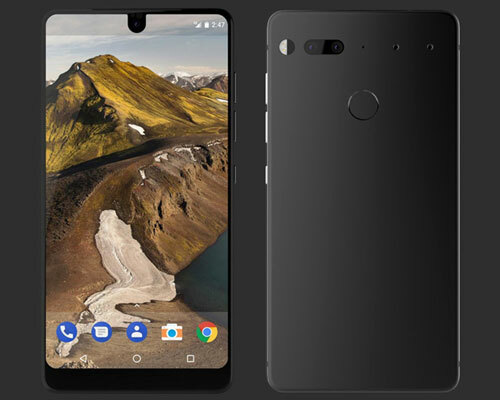 This gives the Essential Phone unmatched connectivity at a time when Apple is being accused of crippling its own phone’s connectivity solution. iPhones use aluminum and glass, making the glass the most rigid part of the phone and resulting in lots of breakage. The Essential Phone uses titanium, ceramic and glass, making it far harder to break the phone’s screen. Instead of a plug-in connector that lets water into the phone and creates a hazard if you trip over the wire, the Essential Phone uses magnetic connectors reminiscent of what Apple used to use in it portable PC products. These connectors allow the phone to be upgraded with accessories. Yes, Motorola did this first, but Apple didn’t do it at all. Oh, and the fingerprint sensor is on the back of the phone, where it always should have been, along with a camera that is designed — hold your breath — to work well in low light!